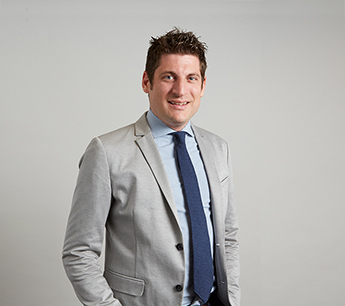 Jeremy Ezra has 16 years of experience in the retail real estate industry. He joined RKF in 2005 and has developed strong expertise in landlord and tenant representation in retail markets throughout the US. Jeremy is currently primarily focused on assisting retailers in their strategic expansions regionally and nationally. In Manhattan, Jeremy and his team exclusively represent Chick-fil-A in their expansion. To date, Jeremy has arranged leases on two premier Midtown corners at 6th Avenue and 37th Street and 6th Avenue and 46th Street, with several deals in the pipeline. Jeremy represents home furnishing retailer Mitchell Gold + Bob Williams on the brand’s national roll-out. He has secured more than 15 leases on behalf of the brand, with recent leases in King of Prussia, PA; Beverly Hills, CA; Houston, TX; Miami, FL; Scottsdale, AZ; Paramus, NJ and Manhasset, NY. For the last several years, Jeremy has represented Adidas and Reebok on several high-profile national lease transactions in Manhattan, Greater New York and California, including Reebok’s U.S. flagship store in Union Square and Adidas’ first Brooklyn store on Fulton Street as well as the SoHo relocation of the Originals brand to 115 Spring Street. Jeremy handles all real estate transactions for IT’SUGAR and has arranged more than 15 leases to date on their behalf. He also exclusively represents lululemon athletica in the New York metro area and has completed several deals on their behalf including their SoHo and Flatiron District relocations and new locations in the Upper West Side, Meatpacking District, and Brooklyn among others. In Manhattan, Jeremy represented Charming Charlie in securing a 15,000-square-foot Fifth Avenue flagship location. Jeremy exclusively represents Marbles the Brain Store and since the fall of 2014, he and his team have successfully completed nine leases on the brand’s behalf throughout the country and are expected to continue opening 15 new stores per year. Jeremy also represents other brands including Ivivva, Peloton, and Mephisto. Jeremy has provided retail leasing and consulting services on behalf of developers, assisting with the positioning and merchandising of numerous new mixed-use developments throughout the US, including projects in Philadelphia, Boston, Pittsburgh, Chicago and Naples, FL. His most notable accomplishments include leasing in excess of 90,000 SF at the ground-up, mixed-use Town Place at Garden State Park in Cherry Hill, NJ to more than 15 retailers and restaurants, and the leasing of 100,000 SF at the mixed-use Mercato in Naples, FL to more than 20 retailers and restaurants. Jeremy also represented Mall Properties (MPI) in re-merchandising Long Island’s The Gate at Manhasset with Banana Republic, Gap, Gap Kids, White House | Black Market, Urban Outfitters, Sephora and Vineyard Vines. Prior to joining RKF, Jeremy was the Real Estate Manager for Ann Taylor, where he was responsible for site selection and real estate management throughout the US. In this position, he completed transactions in malls, lifestyle centers, outlets and on the streets of top central business districts in more than 30 states. Previously, he was a Leasing Representative and a member of the initial team scouting real estate in Canada for The Children’s Place. Jeremy earned his degree in Business and French at Skidmore College. He is a member of the International Council of Shopping Centers, The Real Estate Board of New York, and the Croton-on-Hudson Economic Development Committee.